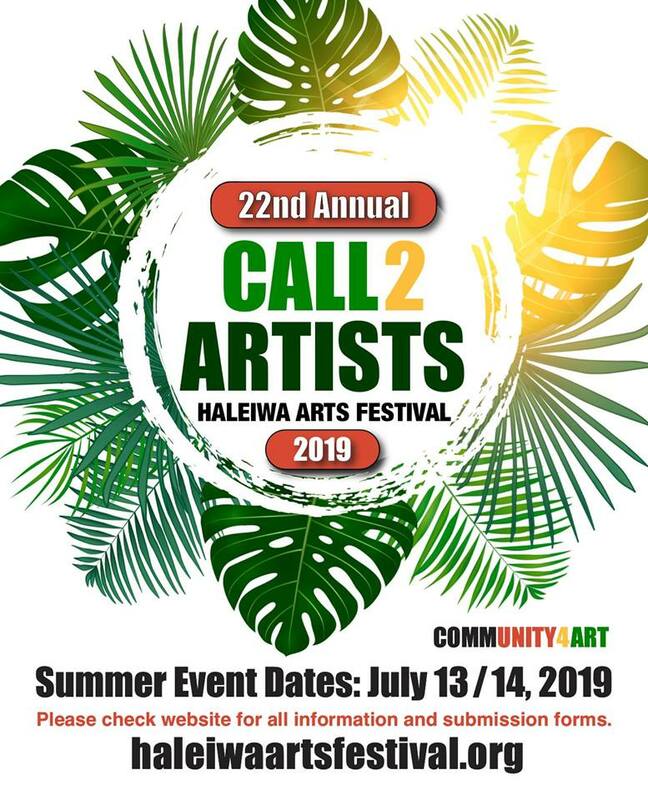 The 22nd Annual Haleiwa Arts Festival is quickly approaching! 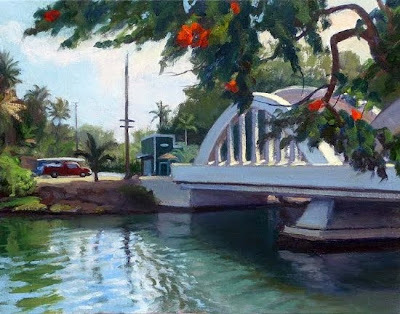 My artist friend Lynne Boyer will be displaying her paintings at booth #16 during the Haleiwa Arts Festival on July 13th & 14th, 2019. You can also see Lynne's work in our condo when you stay in our families three bedroom vacation villa at the Beach Villas at Ko Olina. At the Haleiwa Arts Festival, approximately 140 juried visual artists with original works and limited editions, both traditional and contemporary, in oil, acrylic, ceramic, photography, sculpture, watercolor, fabric, serigraphy, jewelry, and glass as well as other media will be on display. The art will be available for viewing, browsing, and purchase directly from the artists. Items will be available at all price points from inexpensive to expensive and in-between. Visit Lynne at booth #16 , which is nearby the "Cool Things to Buy" tent. She will have lots of new "hot off the easel" Original Oil on Canvas paintings as well as her large selection of Giclées on Canvas and Paper. 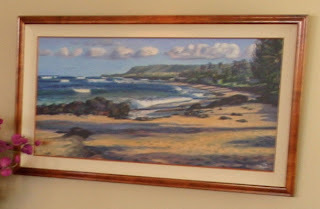 I grew up near the beach in Lynne's painting and it brings back many childhood memories. 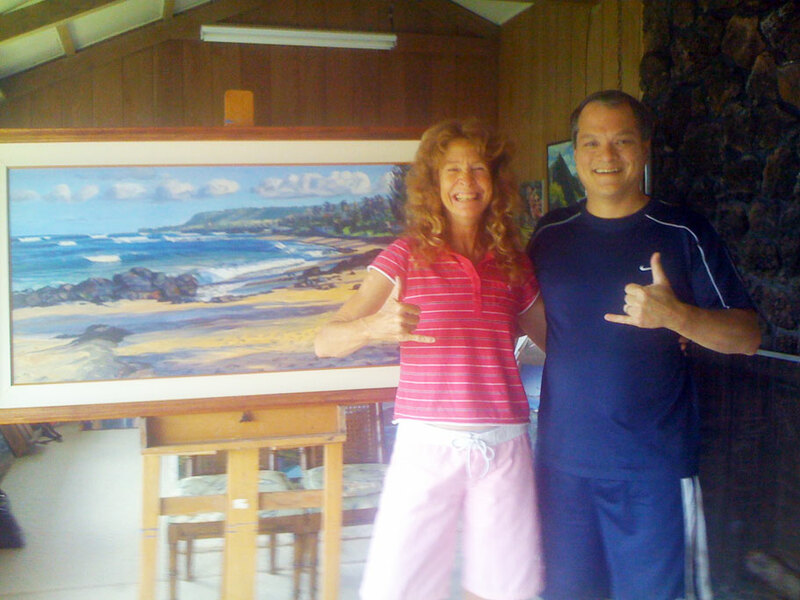 Create your own family memories during your next visit and then pick up an art piece at the Haleiwa Arts Festival. It will be a great way to remember your time here in our little slice of paradise, the Beach Villas at Ko Olina on Oahu, Hawaii. It would be our pleasure!